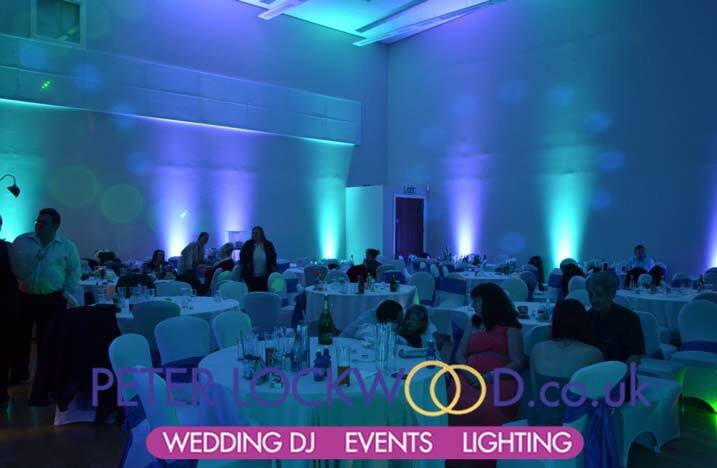 Irish Centre UpLighting. 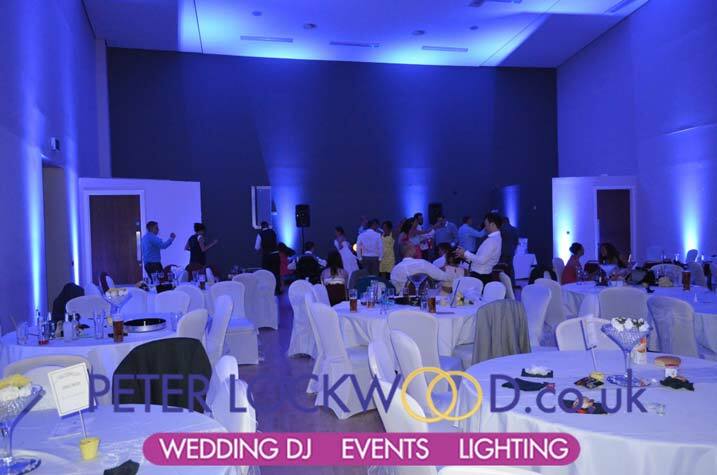 I had the pleasure of providing my wedding Uplighting service in the fantastic new Irish World Heritage Centre, Its so much nicer than the old center. 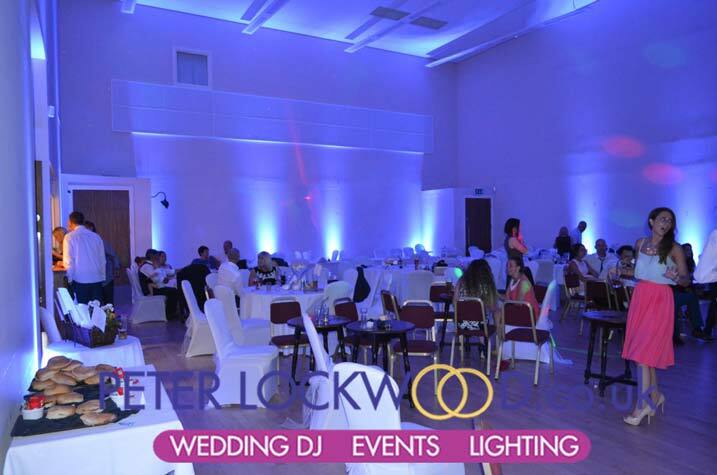 Due to the height of the room I used my high power uplighters to ensure that the walls had colour right to the top. 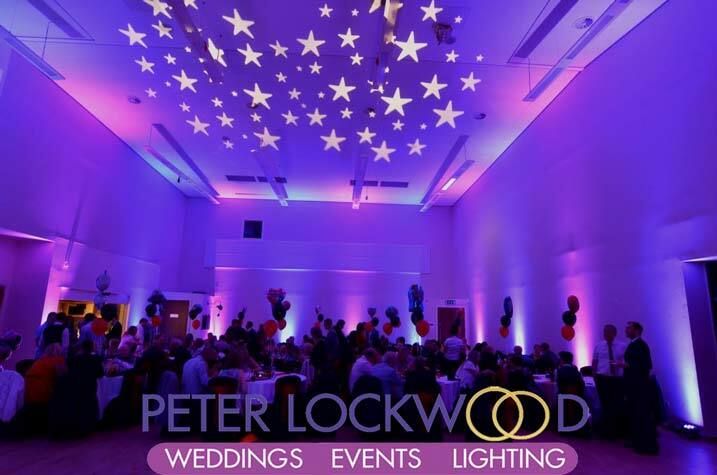 Pink and Purple was the colours picked for this wedding pictured above in the Irish World Heritage Centre. 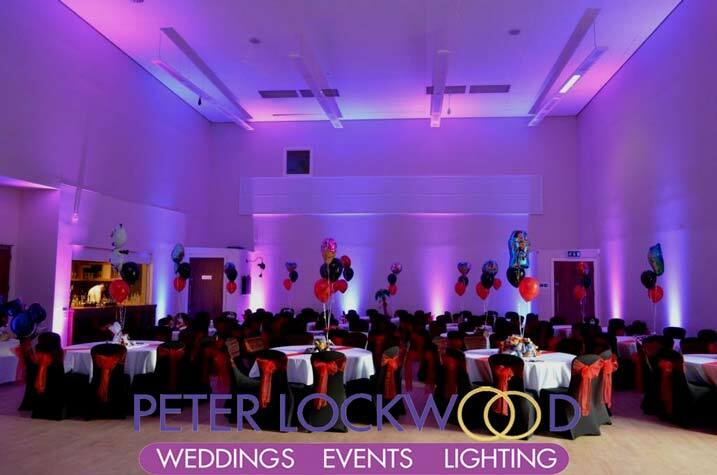 The wedding below wanted blue with a bit of red, I set the lights on 100% blue and 10% red this created a hint of purple in the light output just what they wanted. 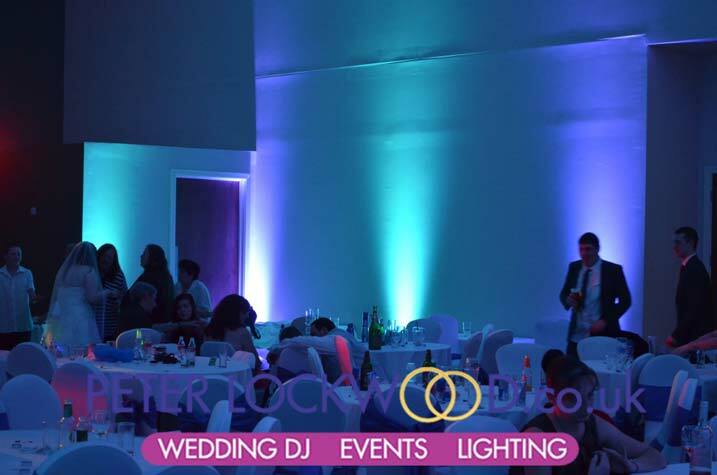 To find out more about booking the venue click >Irish Center< to book the lighting please contact me.